Gooseberry Falls, Two Harbors, MN. 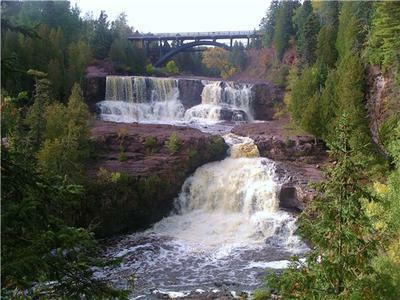 The crown jewel of the North Shore, Gooseberry Falls is one of the most recognizable sites in the state. Featuring 5 sets of falls through a dramatic river gorge, the Gooseberry River flows out to an agate beach into the largest lake in the world. Hiking trails wind around the falls through pine forests and rocky cliffs. This is an absolute must for any Minnesota sight-seeing enthusiast. It’s that awesome.